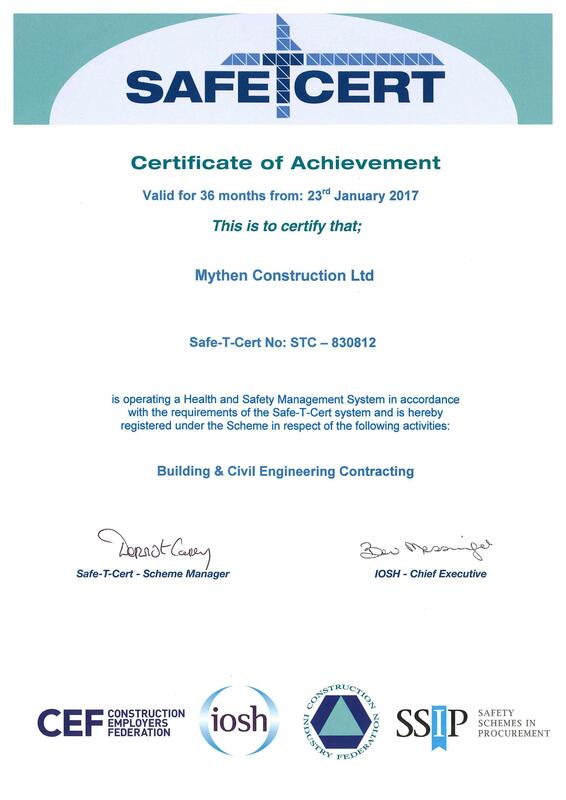 Mythen Construction has an exceptional safety record and this has been verified by achieving certification through the Safe-T-Cert scheme since 2008. 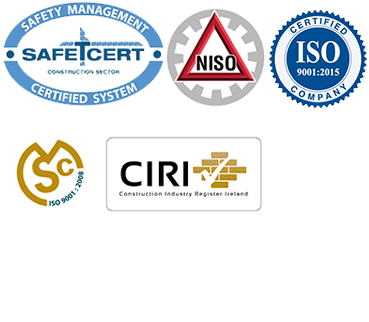 This means that Mythen Construction Ltd. has a certified health and safety management system based on the requirements of National and European legislation. This scheme provides independent certification of the company’s health and safety management systems on an annual basis and the retention of this certification requires evidence of continuous improvement by the company in all areas related to safety management and performance. We have at all times continued to achieve certification on our safety management system. 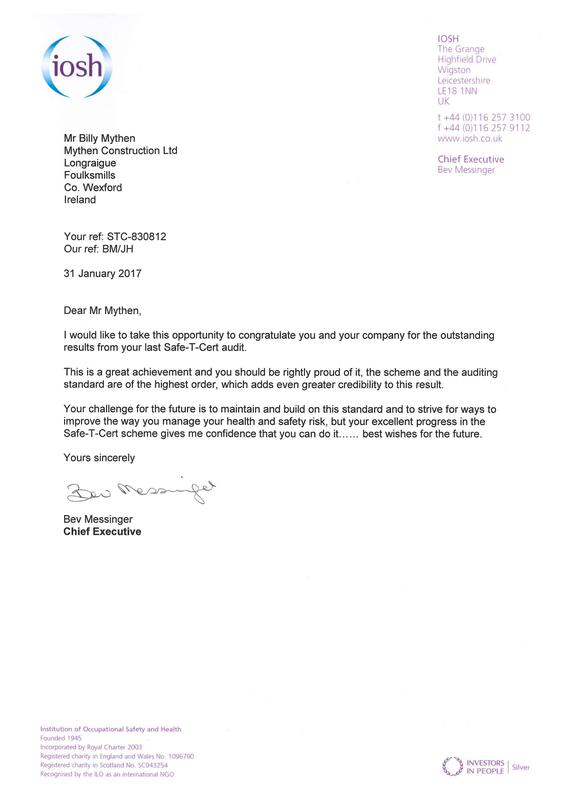 Our current rating from IOSH at our last audit in January 2017 is an “A” rating for the 8th year in a row. Our Safety and Site Management teams have all the necessary training and experience across a wide range of projects. Safety is treated as the number one priority and adequate safety resources are always provided on all of our projects.